When repairs have been completed that are outside the scope of the existing approved data (e.g. the structural repair manual) a design organisation (including type certificate holders) must provide aircraft specific approval documents. This type of repair data is commonly required when a repair is not possible using generic repair data or is needed to complete a repair that falls outside currently approved limits. This situation typically occurs when the design organisation is developing the repair design at the same time as the repair work is commencing in the Part 145 organisation. Part 145 A.45, Maintenance data, states ‘The organisation shall hold and use applicable current maintenance data in the performance of maintenance, including modifications and repairs’. Part M.A.304 Data for modifications and repairs states ‘Damage shall be assessed and modifications and repairs carried out using as appropriate: (a) data approved by the Agency; or (b) data approved by a Part-21 design organisation; or (c) data contained in the certification specifications referred to in point 21A.90B or 21A.431B of Annex I (Part-21) to Regulation (EU) No 748/2012. Conformity with the repair data in its final form and reference to the applicable design organisation approval documentation must be established and recorded by certifying staff before issuing the Certificate of Release to Service (CRS) following completion of the repair. A CRS may not be issued when only draft repair data has been provided by the design organisation. 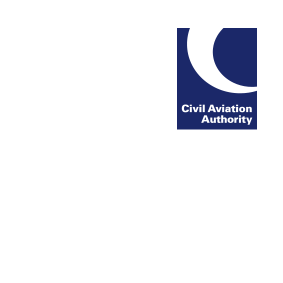 This means that the maintenance organisation performing the repair must make the approved documents available to its certifying staff before the CRS is issued for the specific aircraft.